We make it simple for online businesses like yours to collect and display Reviews and Seller Rating Stars in Google, growing your traffic and reputation. 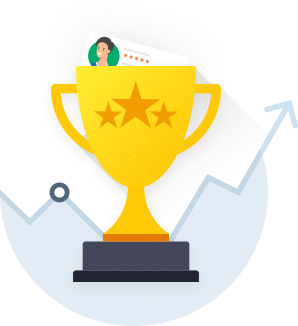 Collect verified, authentic reviews and gain Google Stars, proven to boost your click-through rates up to 17% and grow on-page conversions up to 28%. Get there quickly with the fastest review collection rate in the industry. 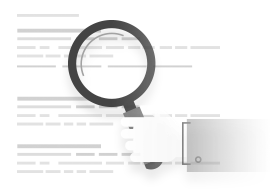 All review requests are from genuine, verified customers, improving trust in online opinion. 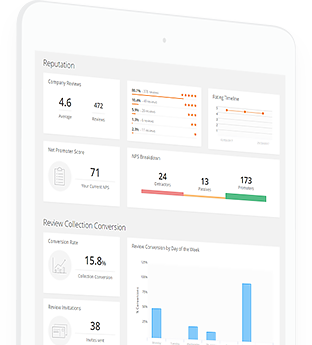 Our platform gives your customers the power to write reviews quickly, without logging in, for the best collection rates in the industry. 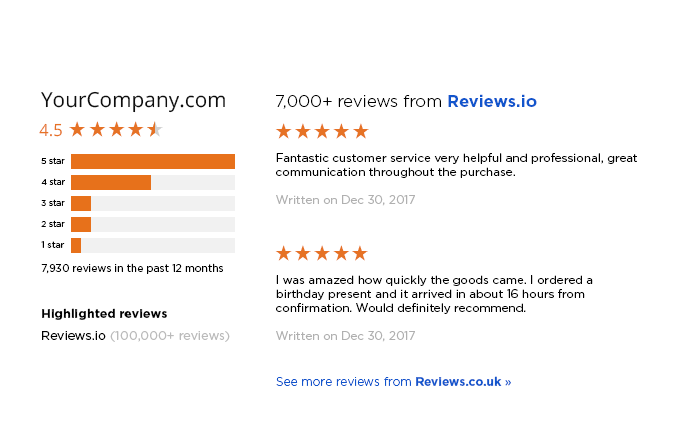 Reviews.co.uk is a trusted and licensed Google third-party Review Partner. We can help boost your organic reach and reduce your PPC costs by getting your Rich Snippets and Seller Ratings into Google quickly. PrezzyBox gained a double-digit boost in on-page conversions after implementing their review collection strategy with Reviews.co.uk, by displaying our Product Reviews widget on their site. 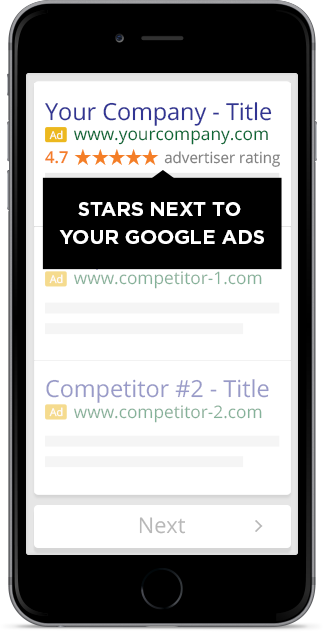 Businesses with a local presence need to get stars in Google Local - it's critical. 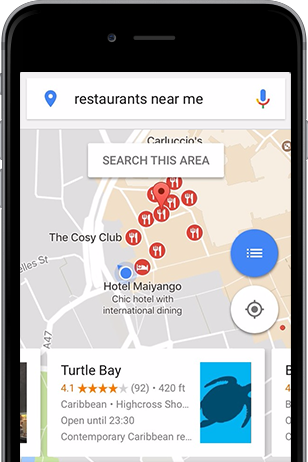 For any local search result, such as "restaurants near me", Google will present your customers with a large local map with featured businesses. Without a great star rating, you won't get many visitors. 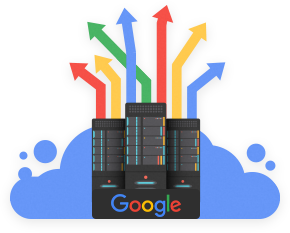 We can help you automatically and easily collect local reviews from all your Gmail customers, something which Google themselves makes a dfficult process. 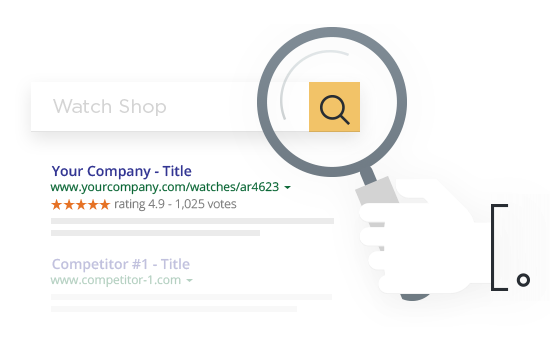 Google scans your site for reviews using our SEO-friendly Rich Snippet technology, and displays them in the form of Star Ratings in organic search results. Stand out from your competitors, get more clicks and more website traffic. 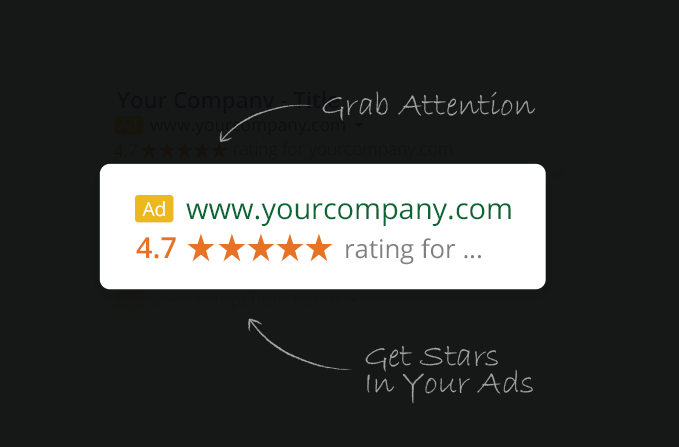 Collect enough reviews and Google will show stars in your PPC campaigns. You'll see an overnight increase in CTR of 10%, rising to 20% in most cases. This further reduces your Adwords spend while increasing conversion rates. To put this in context, if you're spending £1000 per month in Adwords, you'll already pay for Reviews.co.uk four times over in cost savings! 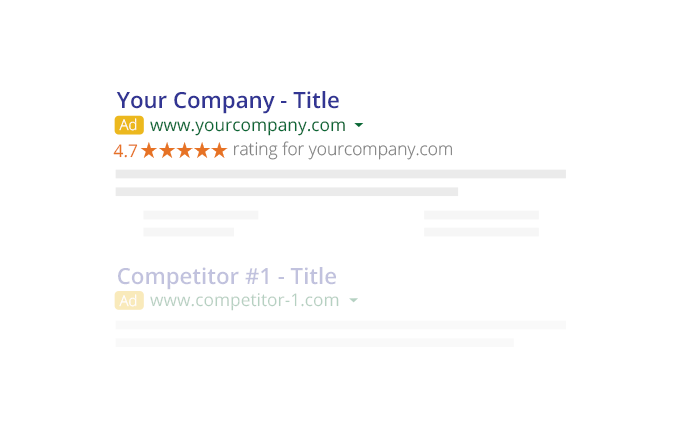 Not only will Seller Ratings improve your click through rates, you'll also see an uplift in on-page conversions for your landing pages. 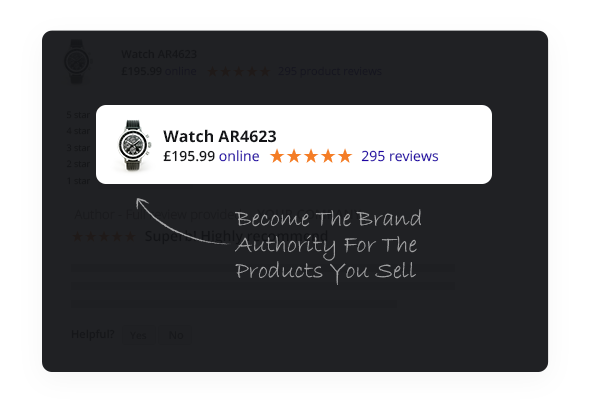 Displaying product reviews on your site improves conversion up to 28%. Add our Expert Answers widget for unique, expertly curated questions and answers, and give your customer the information they need immediately. 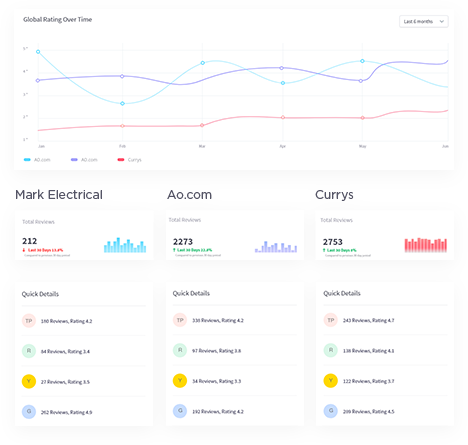 Reviews.co.uk gives you access to your competitors customer feedback data in real-time. You can measure your competitors' Net Promoter Score (NPS), Ad Spend, and accurately predict their sales volume. To beat your competition, you have to know what they are doing by keeping your finger on the pulse. 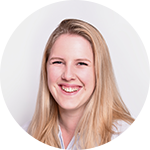 This groundbreaking feature gives you all the information you need to become the market leader in your industry.